The KDP and the PUK are roughly matched militarily. Mindful of this, the two factions have historically competed for US patronage, in order to obtain the upper hand. This leaves both open to manipulation by unscrupulous Western politicians. Between 1974 and 1975 both factions were convinced by the US to fight Saddam Hussein, after the US promised them military support. But the Iraqi Kurds were lured into war with Baghdad only to pressure the Ba’athists to cease threatening US regional interests. A 1974 CIA memo reveals that both the Shah and the White House desired that Baghdad and the Kurds mutually weaken each other: ‘Neither Iran nor ourselves wish to see the matter resolved one way or the other’. The US Congress’s Pike Committee commented: ‘This policy was not imparted to [the Kurds], who were encouraged to continue fighting. Even in the context of covert action, ours was a cynical enterprise’. Even before this, the KDP had handed over many dissident Iranian intellectuals to the Shah’s brutal regime. In due course Saddam got the message and concluded the Algiers Agreement with the Shah’s Iran — a firm Washington ally. Iraqi resistance collapsed and hundreds of Kurdish leaders were executed. Questioned about this later, the then Secretary of State Henry Kissinger callously remarked: ‘Covert action should not be confused with missionary work’. History repeated itself after the 1990-91 Gulf War, when Kurdish nationalists in Iraq were urged by the United States to rise up against Saddam Hussein — only to be left without US support at the critical moment and to face even greater casualties than in 1975. Following the First Gulf War, the US militarily guaranteed Iraqi Kurdistan against Saddam and a ‘semi-autonomous Kurdistan Regional Government’ was established with US patronage. But the inherently rapacious natures of the KDP and the PUK warlord factions soon led them to turn their guns on each other again. Between 1994 and 1996 the KDP and the PUK fought each other. Ordinary Kurds were the chief casualties of this amoral civil war, which was waged on both sides solely to maximise factional power. The US guaranteed Iraqi Kurdish air space against the Ba’athists and armed both the KDP and the PUK. And these two gangs went to war against the civilian populations of the two sectors controlled by the two Kurdish parties. Each party’s militia raided the other group’s zone often in this period, attempting to expand the size of their zone by compelling residents there to switch their allegiance to themselves. Cynically, the West remained content, as long as both factions continued to serve as a bulwark against Saddam. The US-led Second Gulf War from 2003 saw further US support for the KRG, which reaffirmed its support for the drive against Saddam. The Ba’athist regime was easily removed, but a new insurgency soon emerged, dominated by Sunni Arab Muslims. The PUK and the KDP remained loyal to their US patrons. Both the KDP and the PUK rely for their power upon deeply reactionary feudal tribal leaders. This leads the KRG to repeatedly baulk at human rights. Thus, in 2008 the KRG passed a bill outlawing female genital mutilation (FGM). This barbaric practice has maimed an estimated 60% of Iraqi Kurdish women and girls. The law was then cancelled the following year. It took an international campaign to force approval of The Family Violence Bill on 21 June 2011. Human Rights Watch reports that the KRG again failed to implement the new law’s provisions. Male family members continue to abuse or kill female relatives since the law was passed. Special courts to prosecute domestic violence cases have not been established, despite being required by the law. The US is currently rearming the KRG factions, in order to use them against the Islamic State (IS) group. Simultaneously, the ex-Marxist PKK and its Iraqi Kurdistan affiliate, the PCDK, have joined the PUK and the KDP in combatting IS in Iraqi Kurdistan. All three Kurdish groups have engaged in terrorist acts in the past — including against ordinary Kurds. All of them have displayed equal capacities to expend their own people’s lives for their faction’s material gain. None of these political thugs deserve our support. 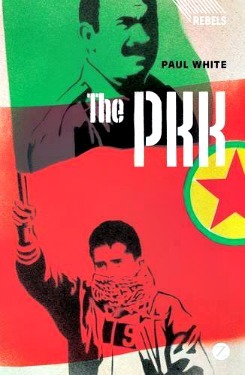 Dr Paul White is the author of two books on the Kurds: Primitive Rebels or Revolutionary Modernizers? The Kurdish National Movement in Turkey (Zed Books, 2000) and The PKK: Coming Down from the Mountains, (Zed Books, 2014). He conducted field research in a PKK guerrilla training camp, interviewing the PKK leader Abdullah Öcalan and other Kurdish leaders and guerrillas. Recent articles by Paul White. I am wondering whether everything re the Kurds is that awful. One bright spot for me, in a Middle East where "religion" has basically become a bad word, all Kurdish groups are resoundingly secular. The majority of Kurds are Sunni but they are not radicalised. Certainly tribe, clan and rigid pecking order affect leadership. This is similar to all feudal/semi-feudal societies. The position of women would, I imagine, vary according to their location and social status. Isolated rural areas would probably be the worst. I imagine senior female members of the Barzani family and similar would be in a better position. I was unaware that female genital mutilation ("female circumcision") was so prevalent. Western assistance, especially social, could be tied to specific educational programs. They work. The Kurdish groups are in no way as bad as the Islamic State or Al Nusra. I would rather have a (careful) relationship with the Kurds than metaphorically sleep with the "caliphate". Harry Paech's Great War shows why Australians have been reluctant to give government the authority to arrest on suspicion, even in times of peril. In the midst of talk in 1914 of atrocities committed by the fiendish Huns against Belgian nuns and babies, the president of Hume Shire in southern NSW was determined to show that the district's German settlers were as patriotic as any Australians.